The larvae feed on species of Amyema, a mistletoe usually growing on eucalypts, they maybe attended by ants from about 9 different genera. Mature larvae somewhat flattened, colour varies from green to various shades of brown, few if any other markings present: head greenish or brown. 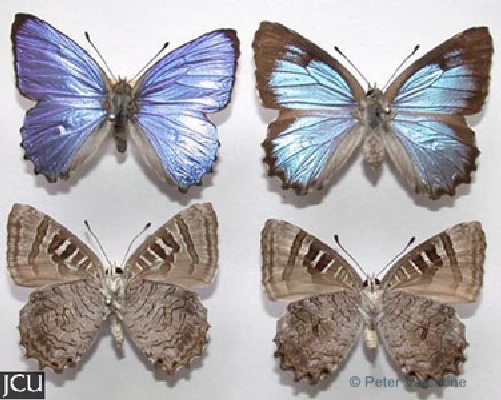 Adults shiny lilac-blue or blue with dark margins, hind wings with uneven projections so that margin appears scalloped.